Hangzhou-based YTO Cargo Airlines which is part of the large Shanghai based YTO Express Group and which presently operates a fleet of ten freighters on express parcels routes throughout China, is said to be looking at joining with other carriers such as ACMI operators or cargo charter airlines. The move is aimed at YTO Cargo Airlines being able to offer not only capacity to the mother company, YTO Express, but also to other clients in the future. There are also plans that the carrier will sell excess capacity available on their operations for YTO Express to other customers. It is further stated that the new ACMI or charter operations will be centered around new international routes and that a new subsidiary named China Northwest International Cargo Airlines, based in Xi’an, will be used for this new venture. YTO Cargo Airlines is reported to be in the process of adding a further three Boeing 757-200 freighters in addition to the two already in service. 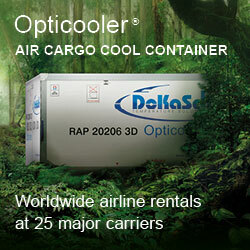 They also operate seven Boeing 737 freighters. Not only has a new passenger terminal in Jeddah been opened during the past days, but also a new state-of-the-art pharmaceutical cold storage facility. Saudia Cargo inaugurated the new building at Jeddah’s King Abdulaziz International Airport during the past few days. 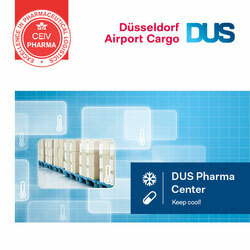 It is a refrigerated warehouse which was opened to coincide with Saudia Cargo’s new product named FlyPharma. This, Saudia states was introduced in order to cater for the increasing demand on Saudia Cargo flights for the transport of temperature-controlled shipments. The new pharma building offers just over 1,000 square meters of pharma handling space and, says Saudia Cargo CEO, Omar Hariri, “conforms to the international standards of the World Health Organization, the European Committee for Medicinal Products for Human Use as well as the local standards of the Saudi Food and Drug Authority.” The carrier also has plans to open a similar facility at Riyadh Airport. That one will be somewhat smaller, giving around 800 square meters of temperature-controlled handling space. Envirotainer, one of the leading suppliers of cold chain solutions for the pharma supply chain and who works also closely with Swiss WorldCargo, recently announced that Swiss WorldCargo now have a total of 36 QEP accredited stations in their network. Thirty-one of these stations also have the QEP Advanced Certification. 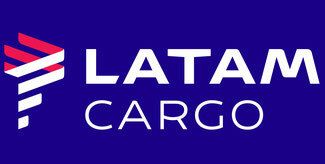 Swiss WorldCargo claims that they now have the largest number of stations online with this distinction. An on-line polling initiated by Netherlands-based logistics player Jan de Rijk re-vealed that cargo volumes at secondary airports such as Maastricht, Frankfurt-Hahn, Vatry and some others will grow faster compared to tonnage handled at large hubs. According to Jan de Rijk, a large diverse group of forwarders, airlines, general sales agents and other groups of the industry participated at the poll, carried out during the company’s yearly summer event on June 7th, held this time at Schiphol airport. Of the participants, more than 80 percent complained about infrastructural limita-tions at large hubs such as Amsterdam, Frankfurt or Heathrow, leaving little room for further growth. The outcome of the poll also shows that almost 70% of the participants believe that the growth of airports with less catchment area is leading to a faster growth of air cargo trucking volumes compared to the increase of freight flown by air. Simultaneously, optimism about the future of Amsterdam Schiphol prevailed among the participants of the summer event, despite the current slot restrictions imposed on cargo flights. In addition, attendees of the summer meeting were asked by Jan de Rijk, what they value most in selecting their road feeding service provider. Good performance was mentioned most, followed by large network, and quality of customer service. The price and the extend of digitization were the least important criteria in this selection. The survey also showed that almost 60% of the companies that were present is not ready yet to go 100% paperless. The Luxembourg-based all-cargo carrier which has many of its routes passing through various African stations has made it known that with immediate effect they have banned the transport of so called ‘game hunting trophies’ on their aircraft. 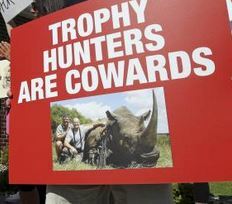 They are now also one of many carriers who have introduced this ban on hunting trophies. Hong Kong based Tigers Logistics was given the Best Logistics Supplier award at this year’s Avaya Annual Suppliers Meeting held in Singapore. Tigers which is aim-ing to launch their eShop throughout all their offices worldwide this year was given the award for what was termed as their assistance to Avaya with their freight for-warding transition. This is the second time that Tigers have taken this honour - the first being back in 2013. Tiger Logistics support covers many industries, among them automotive, health, active lifestyle, fashion and wines and perishables goods.